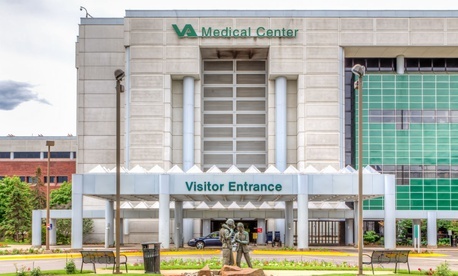 The Veterans Affairs Department announced Thursday that it would unilaterally stop paying union employees in medical disciplines for time spent on representational duties. In August, VA Secretary Robert Wilkie rescinded a 2010 memorandum of understanding with the National Federation of Federal Employees that provided guidance for what issues were non-negotiable because they impacted direct patient care, and what remained negotiable because they only indirectly impact care. Union officials at the time took a “wait and see” approach, although they noted that the move could have sweeping effects, depending on how the department chose to implement the change. “The mission of the VA is to provide patient care for veterans, so anything you could name is going to indirectly affect patient care at some level, since that’s the whole purpose of the department,” said NFFE General Counsel Jefferson Friday, in August. Unions representing VA employees excoriated the move to cut official time, calling it an attack on workers’ legal rights. They noted that official time is a practice enshrined in the 1978 Civil Service Reform Act and that it is necessary to a union’s ability to function, given that dues-paying membership in the federal sector is voluntary, even though a union is required to represent every member of a bargaining unit, regardless of their status. Cox argued that if the VA wants to improve patient care for veterans, it merely needs to hire more people. “The VA is touting how this move will return nearly 430 medical professionals to their health care jobs full-time, yet there are 45,000 vacant positions in the VA, including 35,000 vacant health care positions,” he said. Those 430 employees amount to 1/10th of 1 percent of the more than 380,000 employees at VA, according to March 2018 data from the Office of Personnel Management. Bonnie Castillo, executive director of National Nurses United, which last month saw its contract proposed by a Federal Service Impasses Panel arbitrator rejected by Wilkie, called Thursday’s announcement an effort to bust up federal unions.